Lock in a great price for Viva Wyndham Maya All Inclusive – rated 8.3 by recent guests! The resort was well maintained, staff were friendly and my friend and I always felt welcome. 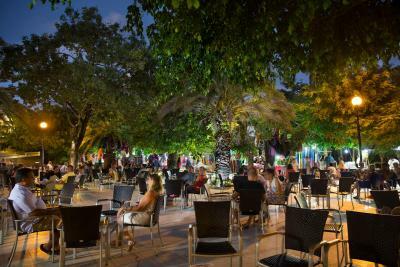 The hotel zone in Playa is the perfect little place to unwind and relax without all the extra hustle and bustle of a more high-profile place like Cancun. Good all-inclusive resort. Super clean and good service delivered by all the smiling and keen members of the staff but certain receptionists. 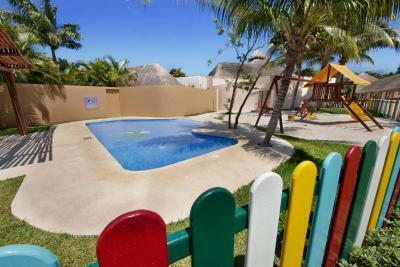 Access to the beach, decently sized pools and good restaurants within the village. Beautiful location and beach, very well taken care of with flowers everywhere. Plenty of beach chairs for relaxing. Room is big and clean. 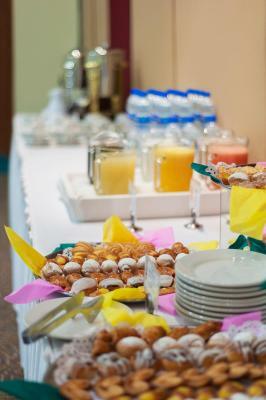 People write there is lack of healthy options at the buffet - not true. I don't eat meat or dairy and found plenty of healthy options anyway - at least five different salads, fresh fish, fruit, beans, etc. I really enjoyed my time here. We spent 3 days at this hotel and we liked it- the beach is really nice, the rooms were spacious and clean and the food was good. It was also really helpful to have the airport transportation arranged by the hotel ( 60$ round trip/ person). Food was blah. The beds and pillows were super uncomfortable. The staff was not very nice and very inflexible. Guest service was neat. Beaches were clean. Room was very clean and comfortable. The Mexican restaurant was excellent, the buffet was not, the property was beautiful, the beds were like concrete, no Mimi fridge, no room service, no coffee maker. Dance club didn’t have a bar or do, very odd. 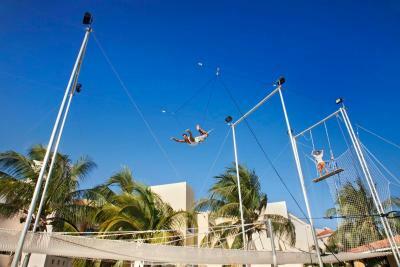 They have alot of activities, shows, nice beach area, free kayaks and paddleboards, free parking, archery. Nice central court and coffee was on point. Beach area was my favorite thing of the resort. Buffet breakfast was good, however coffee tasted terrible. 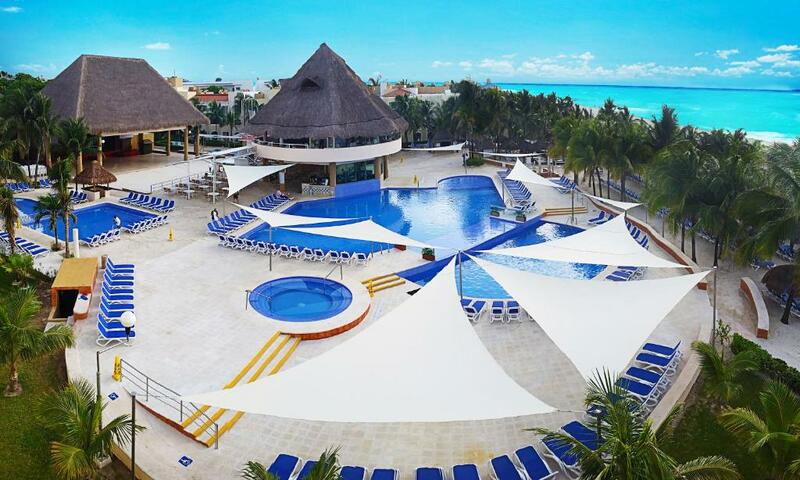 Viva Wyndham Maya All Inclusive This rating is a reflection of how the property compares to the industry standard when it comes to price, facilities and services available. It's based on a self-evaluation by the property. Use this rating to help choose your stay! 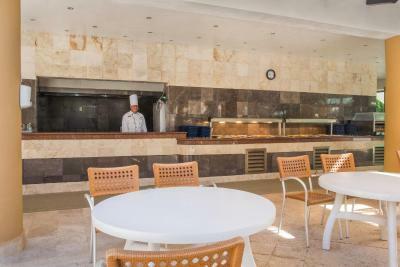 One of our top picks in Playa del Carmen.Located only a short distance from Playa del Carmen, this beachfront, all-inclusive resort features exceptional accommodations, dining options, daily and nightly programs as well as activities for the entire family. 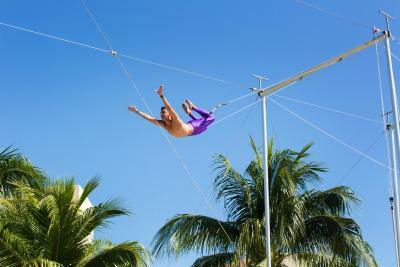 Viva Wyndham Maya offers a variety of recreational activities that the entire family can enjoy. Plan the day with help from the on-site tour desk, learn to dance with one of the hotel's dance classes or shop for gifts at the boutique. 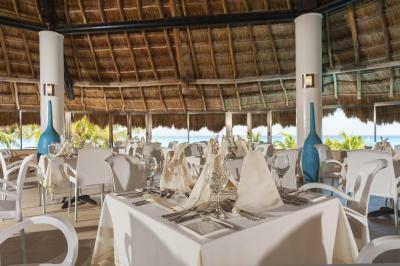 The all-inclusive package offers all meals and snacks; unlimited cocktails, beverages and wine; a cocktail to welcome you upon your arrival; unlimited non-motorized sports; taxes and gratuities; daily activities’ programs. 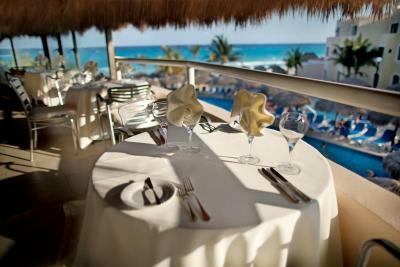 There is something for everyone at the Viva Maya. With numerous children's programs, including daily movies, craft projects and games, as well as endless water sports and gourmet dining, every stay is sure to be unforgettable. 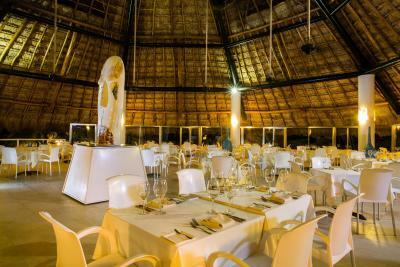 When would you like to stay at Viva Wyndham Maya All Inclusive? All Superior rooms have two queen size beds or one king size bed, air conditioning, 32” LCD screen with cable television, telephone, mini fridge, bathroom with shower (bathtub upon request), hair dryer, ironing board and iron, balcony on higher floors or small terrace on the ground floor, safety deposit box (additional charge) and 2 bottles of water of 600 ml upon arrival. Cribs are available upon request. All rooms are Nonsmoking. All Superior Ocean View rooms have two queen size beds or one king size bed, air conditioning, 32” LCD screen with cable television, telephone, mini fridge, bathroom with shower (bathtub upon request), hair dryer, ironing board and iron, balcony on higher floors or small terrace on the ground floor, safety deposit box (additional charge) and 2 bottles of water of 600 ml upon arrival. All Deluxe rooms have two queen size beds with garden view, air conditioning, 32” LCD screen with cable television, telephone, mini fridge, bathroom with shower, hair dryer, ironing board and iron, balcony on higher floors or small terrace on the ground floor, safety deposit box (additional charge) and 2 bottles of water of 600 ml upon arrival. 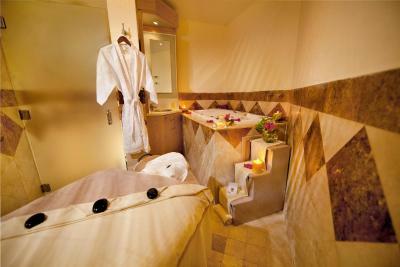 The Deluxe rooms are located at the back of the complex, near the adults-only pool and offer guests a garden view. 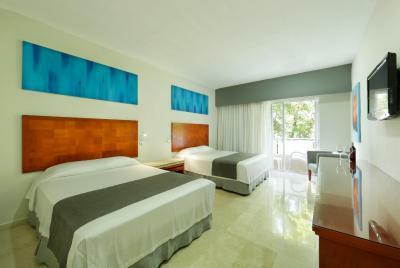 House Rules Viva Wyndham Maya All Inclusive takes special requests – add in the next step! One child under 12 years is charged USD 27 per night when using existing beds. Viva Wyndham Maya All Inclusive accepts these cards and reserves the right to temporarily hold an amount prior to arrival. Please note that the use of the safety-deposit box has an extra fee. 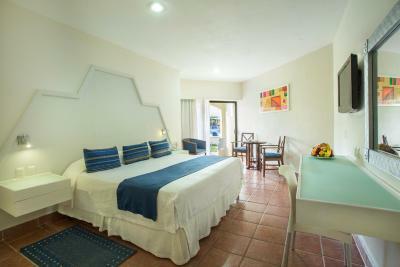 An environmental fee of US$1.50 per night is not included and need to pay upon arrival. The rooms are a bit dainty, mattress was squeaky, toiletries not good at all. I'm not picky. A vacation is a vacation, enjoy as much as possible. My only real complaint would be that the buffet food wasn't the greatest, but it wasn't necessarily bad either. Although it is understood that the nightly show is meant to entertain, it was pretty loud. 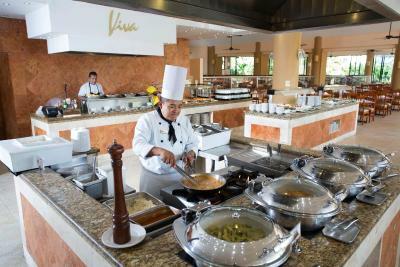 Good food at the buffet, and great food at the à la carte restaurants. We tried three out of four à la carte restaurants, and they were excellent. The location is also walking distance to town (admittedly a longish walk), which was very convenient. Staff were good but some were pushy. The resort provides staff meals if they sit with you to eat.... tacky and annoying. Not many options for food and they did not have any availability all week for the AlLacarte restaurants we were wanting to go to. Kids in the hotel were loud and screaming down the halls when attempting to sleep. Beds were not comfy and rooms were cold at night with not enough blankets provided. Location was safe and in secured area with other resorts. Shopping vendors were across the road. Finding the exact location of the hotel is difficult. There is no sign or guidance about the entrance or at the security control point. The location that google maps points is wrong. There should be more signboard about the hotel and enterance. The staff at the reception was also not that helpful or understanding. We had a problem with payment. The location of the hotel is great. 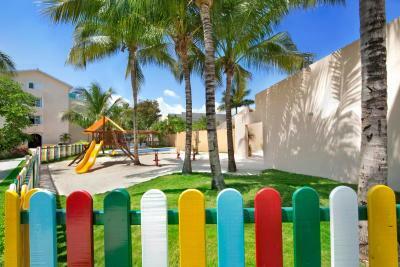 You are in a private condominium, but at the same time very close to central Playa Del Carmen to which you can walk. The beach part of the hotel is great. The room we stayed in was really good and comfortable with a great sea view. The food in different restaurants was also great. The shows in the evening are entertaining. In general, it is very clean and safe. The people in the main restaurants are really nice. Nothing in particular. It is a relatively old structure but still doing the job. Food and drinks weren't very good quality for the money paid. 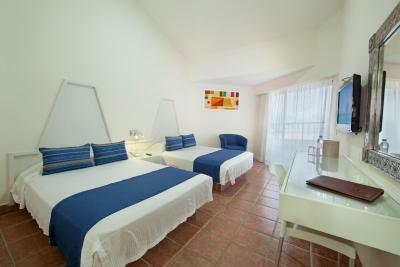 I had a much better experience in Vallarta at a cheaper hotel. The staff at the front desk can be a bit unfriendly, but they seem to work really long hours and deal with a lot of ridiculous people, so perhaps their attitude is understandable. Also tons of loud families; the doors are not soundproof so in the evening you hear families shouting in the hallways. Perhaps staff could put a sign on the entrance to keep quiet after 10 pm. No hammocks, One place to get drinks / coffee resulting in a LONG line - - which you had to get yourself (no waiter to bring them to you on your pool lounge chair), no swim up bar. Young kids jumping in pool got to be VERY annoying (my kids are now teen agers ). The two of the four special restaurant food we had was really good - not the buffet food. Beach out front of resort really nice. 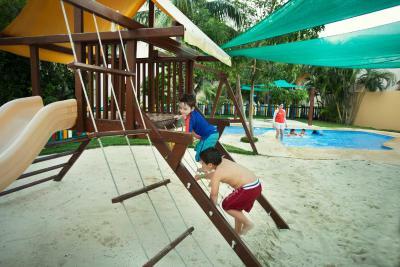 Lot's of activities such as archery, use of bikes, dance classes, aqua gym, nice work out facility. Go to orientation so you can get the schedule for activity times. Everything was perfect and nothing that we disliked. 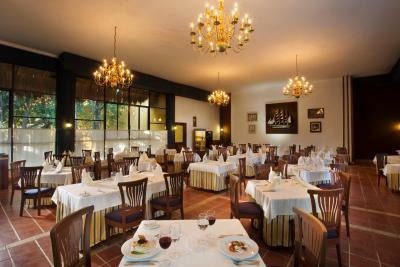 Wonderful food and excellent quality of it. The cleaning was 100% everywhere. There are 4 restaurants that you can choose of. We stayed 14 days and we could 5 choose to go 5 times. The service there in each and everyone was exceptional good. I would also like to mention that access for wheelchairs or for disable people was very good. 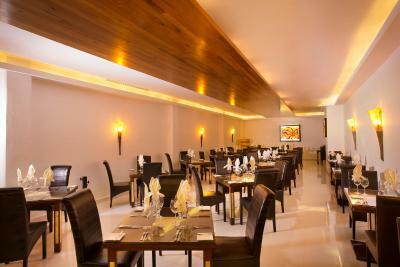 Decoration and ambiance in Cafeteria and lobby, food in Mexican restaurant, many rules eg. filling bottles is not permitted, one beach towel per day. Seems like a hotel for the lower budget travelers. The room area has a little hostel touch. It could be modernized. It’s clean, but yeah, seems a little old. The resort is a bit older, but very clean and nicely decorated. 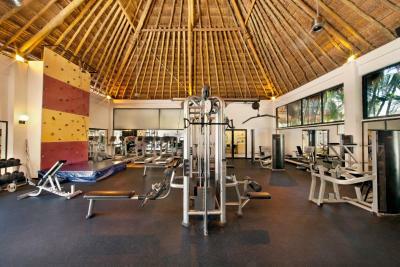 The gym is very well equipped and worth a visit. 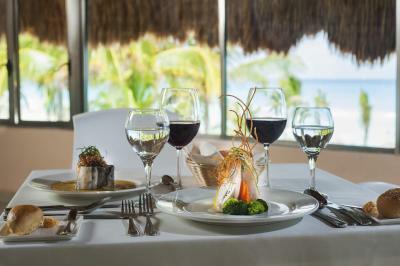 The food is good, the all inclusive drinks even better. They use high quality liquors and serve fast. The beach area is clean.